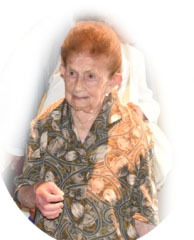 Venice awarded “il Premio dei Musei Civici” (top honors) to 101 year old Emma Vidal, born and raised in Burano. 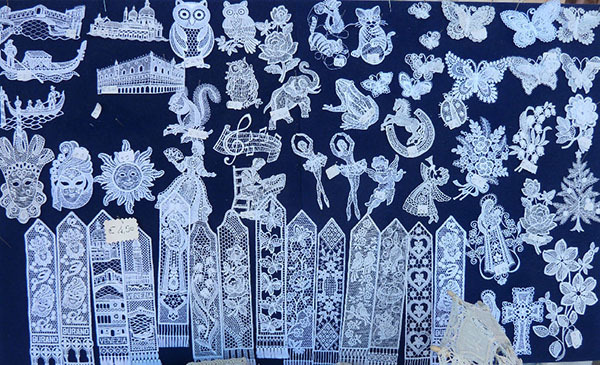 She learned the art of lace and embroidery at la Scuola del Merletto, taught by the sisters. She became a student-teacher and has taught thousands this craft and a spokesperson calling for the preservation of the art. In 2016 the City Council signed a MOU (Memorandum of Understanding) nominating the Italian Lace to the Patrimony of UNESCO Humanity, a project promotion and enhancing precious art and culture. Merletto (lace) was introduced into Venice through trade with Cyprus in the 500’s. Early Venetian laces were created inside the convents and were limited to church vestments. But the trade guilds began to craft lace in the 15th Century. It was considered a “proper” tasks for women and the women in the cloisters dedicated their lives to this work. Outside the cloisters it became a charitable work given to women who had fallen on difficult times without sources of income or family wealth, such as widows, spinsters or orphans. Burano’s fame for lace ranged from about 1620 to 1710 when the lace became known as punto in aria (points in the air) and became status symbol among European nobles. You can see their work in many 17th century paintings by Rembrandt and van Dyke where the high white collars are featured. Portraits of the royalty of Europe also show Burano lace such as those of Elizabeth I and Catherine de Medici (Queen of France). King Louis XIV dressed in Venetian lace for his coronation in 1654, in a collar that is said to have taken 2 years to produce. In 1665 France hired a group of the Venetian lacemakers to train French women to make the lace, bringing the knowledge to Reims and Alençon. This was altogether a bad move as these newly trained centers spawned stiff competition for the small island. Predictably the increased competition, created by teaching others to make their lace caused the demise of this trade. While there were no longer large centers producing their lace, mothers continued to hand down this craft to their daughters. In 1872 a deadly winter covered the lagoon in ice leaving the fishermen of Burano with no means of support or food. Paolo Fambri originally thought to have the people of Burano make fishing nets, but there was no market for these as fishermen generally make their own nets. He turned to 70 year old Cencia Scarparola, the last remaining lace maker. With the help of Countess Andriana Marcella they established the Burano School of Lace over the next century teaching thousands of girls the art of making lace and providing an income for the island. Watch as Martina, a 4th generation lace maker create. You can also take private classes if you wish. The pattern aids are their only concession to modern tools. How to Go to Burano? Getting to Burano is a 2 step process for most travelers. The ACTV Vaporetto #12 stops in Burano before going on to P. Sabbioni. 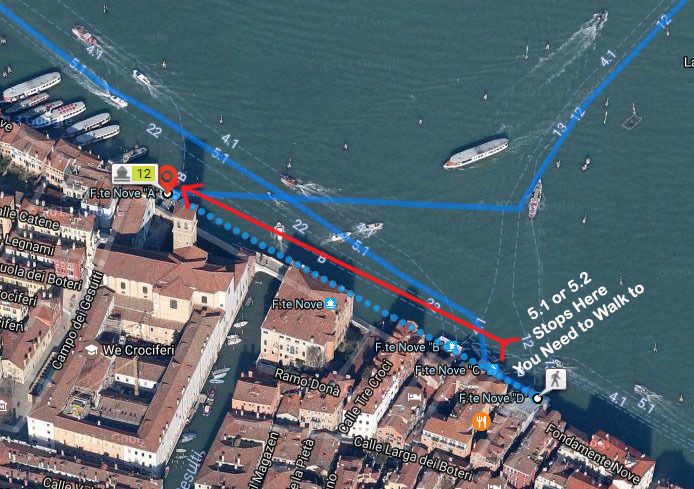 You have 2 opportunities to catch the #12, at the boat stop on Fondamente Nove or at the boat stop Faro in Murano. Or you can take the diretto the #3 from the Train Station to the boat stop Faro on Murano and switch or the 4.1 or 4.2 (red dots). And if you are in P. Sabbioni, you can just catch the #12 from the dock. If you are in Venice, I recommend catching the #12 at Fdte Nove because the lines get quite long in Murano during tourist season. The trip from Murano to Burano gives you a great view of the vastness of the lagoon, the tiny islands which appear at low tide as you weave through the small canals. There is an abundance of wildlife to see as well. My favorite time of the year to do this is in spring when the pink flamengo abount, said to become pink from munching on the sea life in the lagoon. You can spot the fisherman’s nets and the markers for the mussel fishermen. If you choose, you can continue on to Punta Sabbioni and change boats there for to the Lido giving you a complete picture of the lagoon. As you go from Treporti to the Lido, you pass the new famous MOSE gates designed to keep the high tides at bay. What to do in Burano? I confess I have not spent a lot of time in Burano, but I have perused its rows of shops. The godmother of one of my friends owns a shop among the first when you land in Burano so my trips always begin and end with her and catching up on gossip, lots of hugs and kisses. I always buy the Bussolà Buranello a donut shaped cookie and the Esse (because it looks like an “S”). If you eat in Burano, you will always get one of the Esse served with Fragolini a sweet wine at the end of the meal. It is OK to dip it into the wine! They are sturdy and make good gifts. There is a very well known restaurant there, Il Gatto Nero, Venetians often go there on the weekend, so it is not just a tourist restaurant. It is a fish restaurant with pasta, fish served, grilled, fried or baked. Reservations are recommended here during any tourist period and on Sundays when the locals head there. There are a couple others. It is a small island, so walk around to check it out before choosing. There are small shops selling pastries, and of course gelato. Authentic Burano handmade lace is not inexpensive. So if you see a tablecloth for $40 US, it’s not made in Burano. The small souvenir pieces are affordable, such as bookmarks, flowers and the ever popular gondola. It can be a great break from Venice, especially if you go in off tourist hours when the fishermen are coming in and the children are out playing. The colors of the houses brightens any day!